Roopkund, or Mystery Lake is a high altitude glacial lake situated in Uttarakhand which is famous because of the hundreds of human skeletons, dating back to 9th century B.C. found at the edge of the lake which are visible when the snow melts. 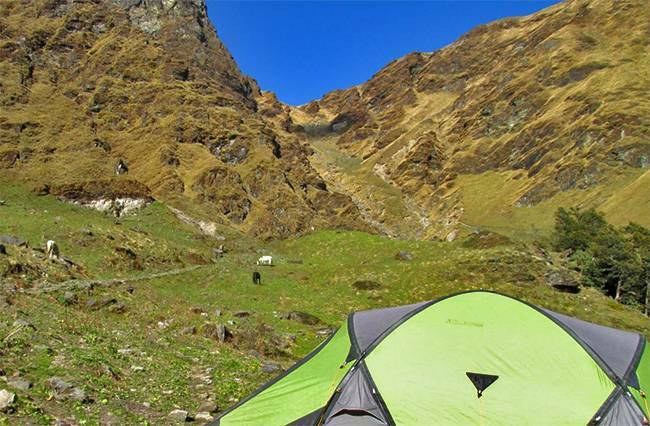 Surrounded by snow capped mountain ranges on all the sides, with rivers flowing by the side and miles of meadows, Roopkund trek is an enjoyable experience. Ideal Time: Mid-May to June end, Mid-Sept to Oct. 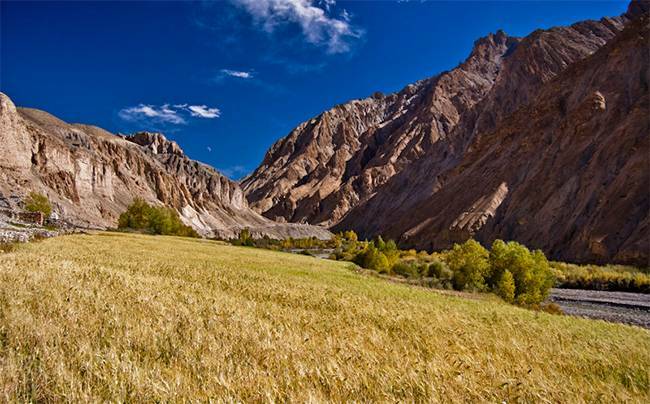 Situated in Ladakh, passing through beautiful Buddhist monasteries, villages and high altitude pastures, Markha Valley trek is one of the most famous treks of this region. 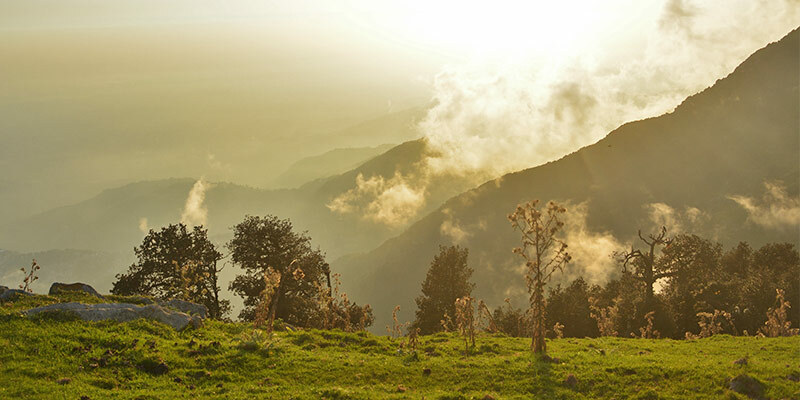 The valley runs parallel to the Himalayan mountain range and has some of the most scenic barren landscapes making it the most sought after trek in the region. 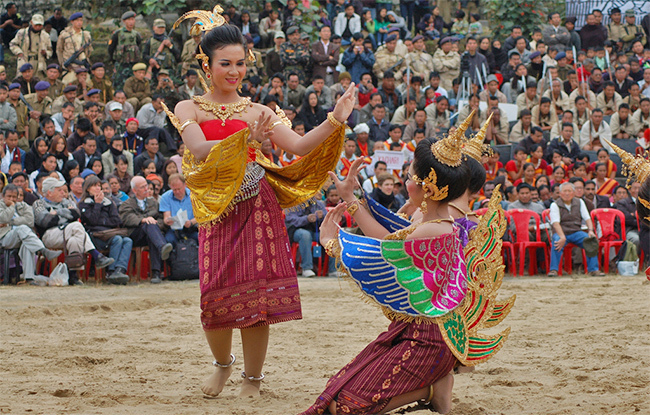 Accommodation is available in most villages in tents and huts giving it the ‘tea house’ trek name. 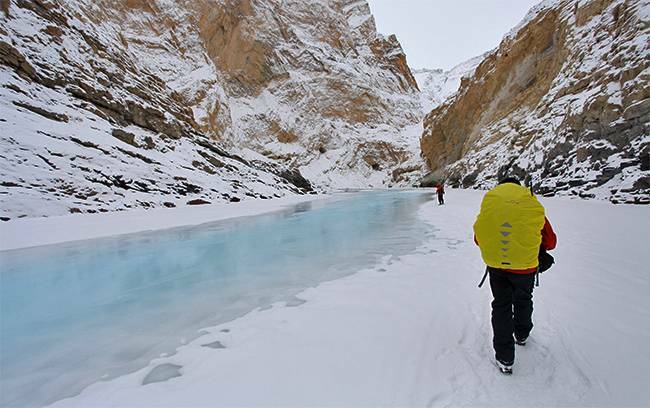 Chadar trek, the most glamorous treks of Ladakh, with cold water flowing just few inches below the frozen Chadar river under you feet, is also one of the toughest treks in the world. It is a winter trek where the harsh terrain and bone chilling cold will pump up the adrenaline to another level. Stok Kangri is comparatively easier of the six thousand-er peaks but is still no cake walk and requires proper acclimatization. 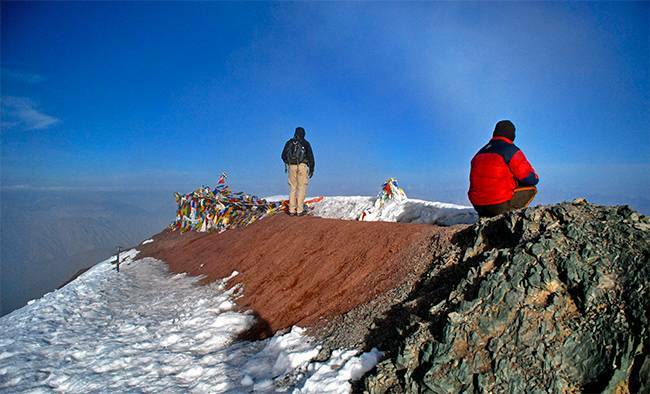 Stok Kangri in Ladakh is the highest trekable summit in India (20,182 feet/6,153 mts). 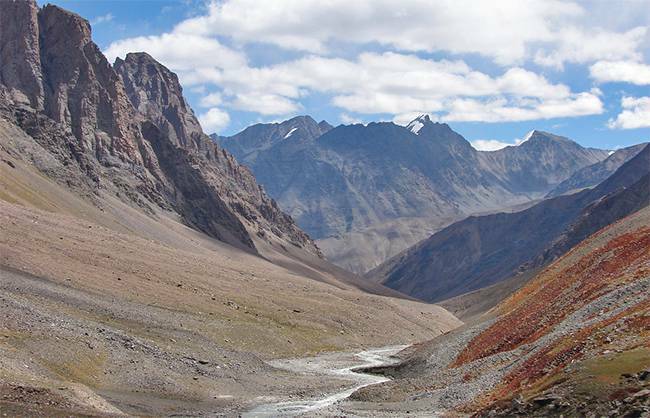 Snowy areas, narrow rivers and scenic valleys, Stok Kangri has it all to offer to the adventurers. Ideal Time: Mid-July to end-September. Oct is also possible. The alpine meadow of Kuari Pass trek are one of the few treks in the Himalayas which are accessible even in winters. A moderately difficult trek, Kuari Pass trek offers the breathtaking view of the enchanting Himalayan mountain range including mountains like Nanda Devi, Dunagiri, Kamet and many more. Ideal Time: Apr-June, Sept-Nov. Winter trek is also done. Along the holy river Bhagirathi, the trek takes you all the way up to the mouth of the river, popularly known as Gaumukh which is situated at the base of the Gangotri glacier. 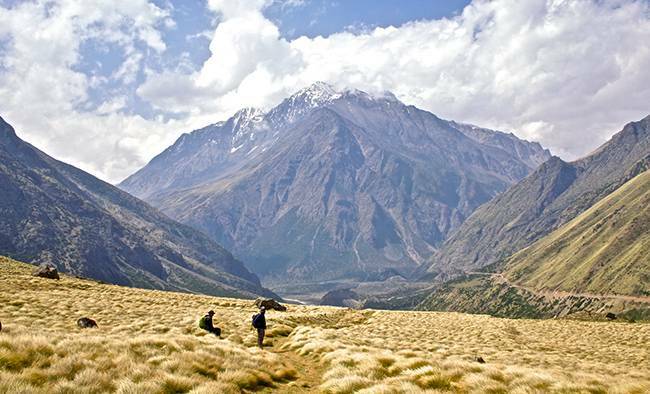 This trek is best recommended for nature lovers who like a bit of adventure like rock-climbing, boulder-hopping and glacier-traversing. Ideal Time: April to mid-June, mid-Aug to Sep. Situated in the Nanda Devi Bio Reserve, one of the national parks of India, Valley of Flowers leaves you intoxicated by the heavy scent of the flowers on the valley floor. July and August are the best times to undertake this trek as flowers are in their full bloom during that time. The holy lake of Hemkund is an important pilgrimage of Sikhs and Hindus and lies near the Valley of Flowers. Ideal Time: July, Aug & Sept. The second highest mountain peak in India, Nanda Devi is one of the highest peaks of the Himalayan mountain range. Considered one of the hardest peak to conquer, June to September is the ideal time to visit it. Ever since the closure of Nanda Devi Inner sanctuary region, Nanda Devi East Base Camp is the closest one can get to witnessing the beauty of the Nanda Devi. 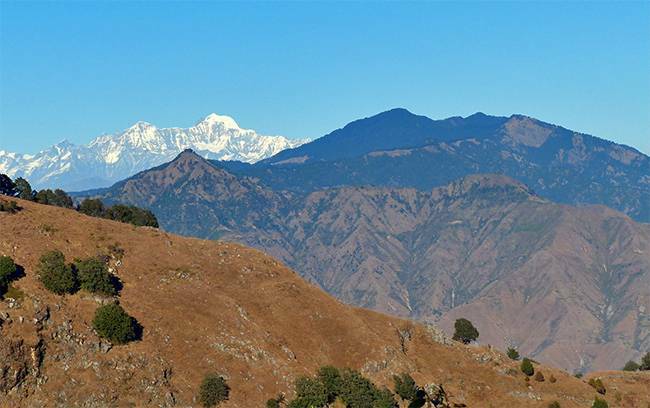 Nanda Devi Bio Reserve is the most spectacular wilderness areas in the Himalayas. 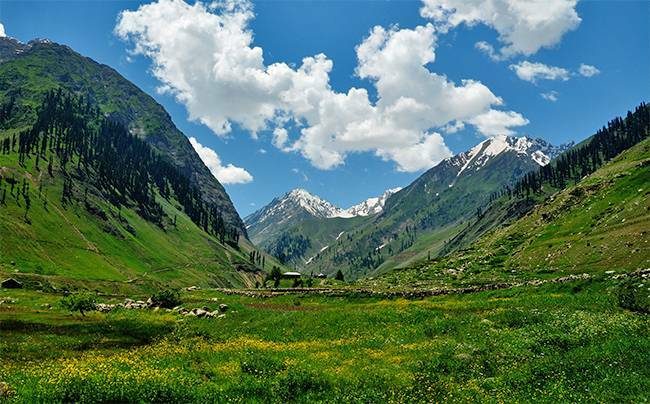 Ideal Time: Mid-June to end-Sept.
Also known as Valley of God, Har ki Doon valley situated below Fateh Parvat, is one of the most beautiful valleys in Western Himalayas. 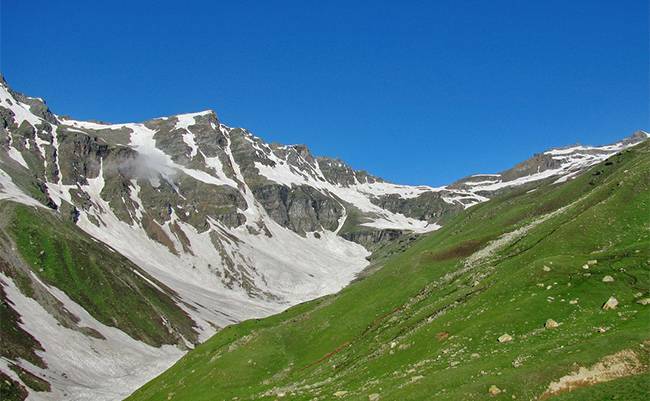 At a height of 3566 mts, Har ki Doon offers rich variety of flora and fauna with breathtaking meadows and beautiful glacier basins in middle of mountain peaks. Ideal Time: Mid-May to June, Sept to Oct. Situated in the upper reaches of Kumaon Himalayas and surrounded by snowcapped peaks, Pindari Glacier is a 90 km round trip trek which could be comfortably completed in 6 days. Lying at the southern end of the Nanda Devi Sanctuary nestled between the Nanda Devi and Nandakot mountains, Pindari Glacier offers breathtaking scenic beauty which is beyond words and also one of the most easily accessible glaciers. A 100 km trans Himalayan trail with the highest point at an altitude of 5319 mts, is a great adrenaline booster for seasoned trekkers. The amazing trek has some of the most spectacular sceneries and mind-blowing landscapes which change as you move from Kullu to Spiti. 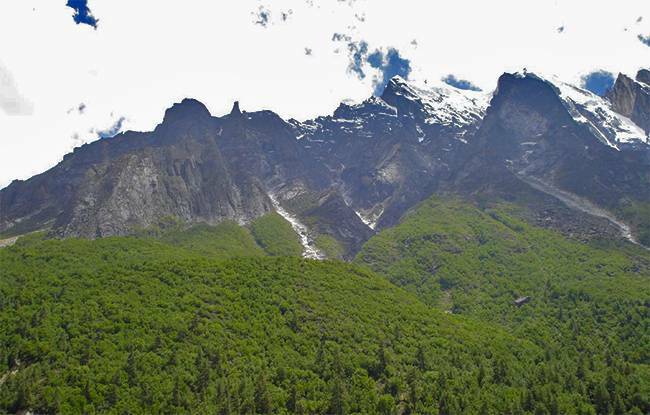 The 79 feet vertical rock in the Kinner Kailash mountain range, one of the mythical abodes of Lord Shiva is one of the finest adventures in Himachal Pradesh. Considered sacred by both the Hindus and the Buddhists, this trek is considered one of the toughest in Himachal Pradesh. The mountain pass in Sikkim at a height of 16,207 ft, Goecha La pass also serves as the base camp for those who aspire to scale the world’s third highest peak, the Kanchenjunga mountain. With the trail passing through forests and meadows, Goecha La Trek is also one of the most romantic treks in the Himalayas. 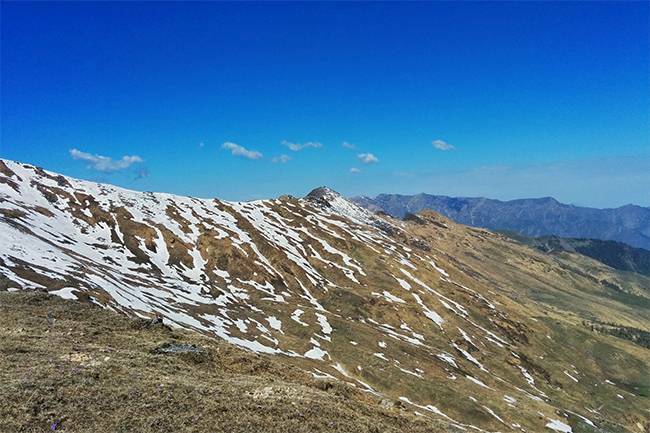 Ideal Time: End-April to end-Juned; Mid-Sept to end-Oct.
Rupin Pass Trek is a high altitude trek across the Himalayas starting in Uttarakhand and ending in Himachal Pradesh. This is not an easy trek especially if taken up early in the season when most of route is covered by snow and ice. Also since some sections of trek are steep, all the trek gears have to be carried by yourself or porters. 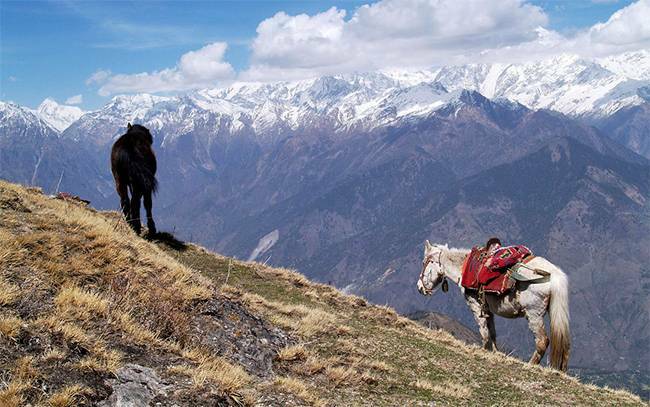 This trek can be done throughout the winter season when most of the treks in higher Himalayan ranges are closed. 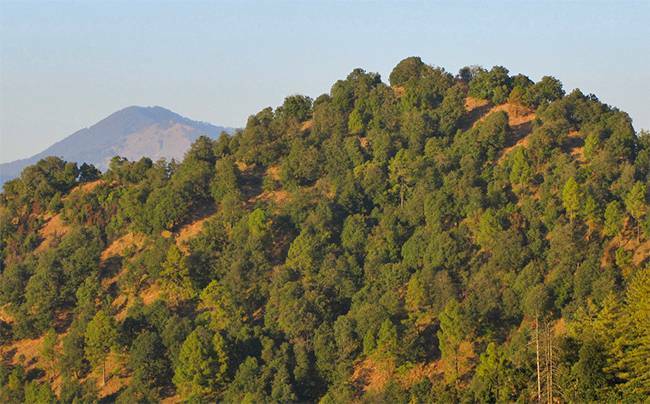 Trek passes through dense deodar forest and provides stunning views of high Himalayan peaks such as Bandarpoonch peak. Ideal Time: End-April to Oct; Jan to mid-March for a Winter trek in snow. 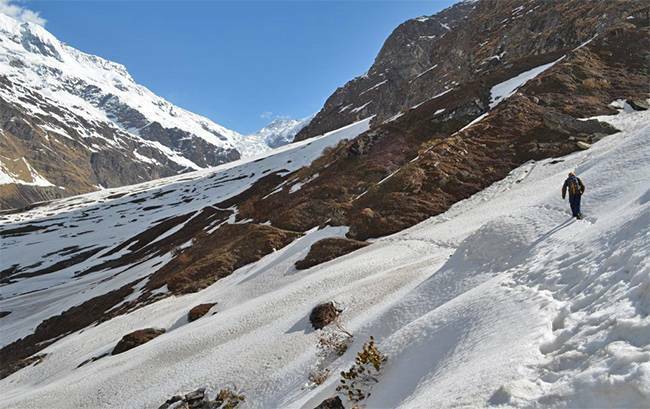 The Khatling Glacier trial along the Bhilangana river valley is one of the most scenic treks making it a photographer’s delight owing to the stunning landscapes, snowcapped mountains and hanging glaciers. 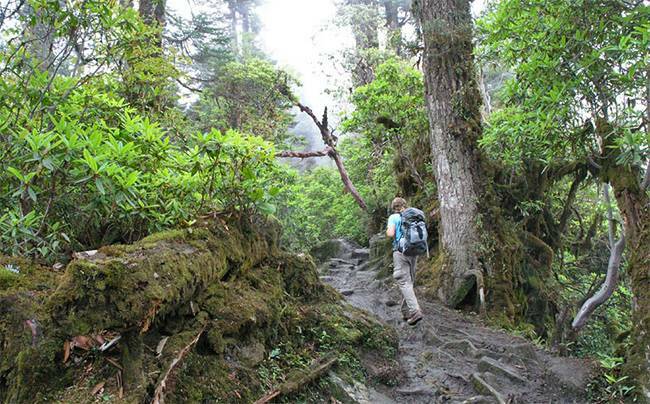 This moderately difficult trek is as alluring as it is spectacular. 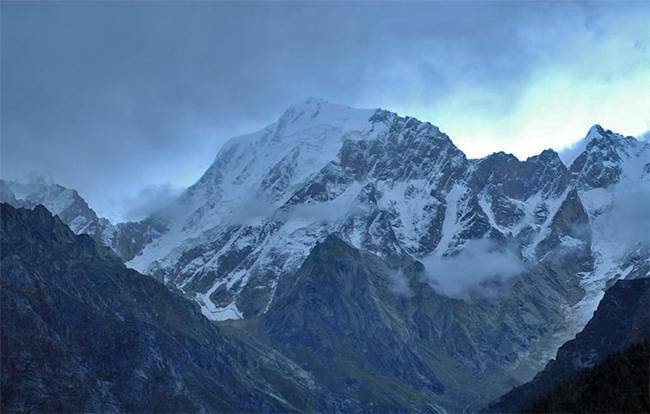 Ideal Time: Apr to May & Sep to Oct.
One of the major glaciers in the Kumaon mountain range, Milam Glacier trek is along the base of the mountain Nanda Devi at an elevation ranging from 18000 ft to about 12700 ft at its snout. 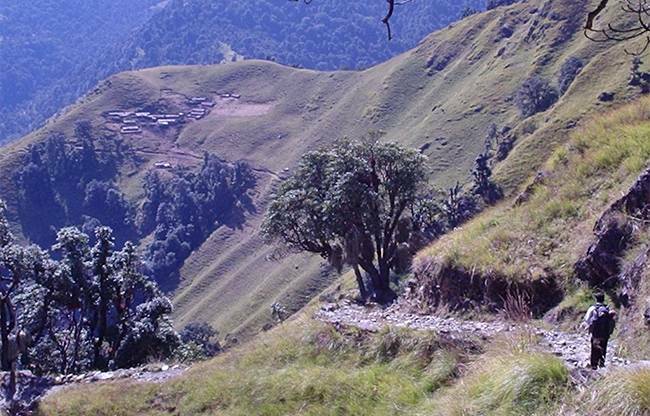 Passing through forests, waterfalls, villages and streams, this trek is a great way to explore Uttarakhand. Ideal Time: May to June & Sept to Oct. 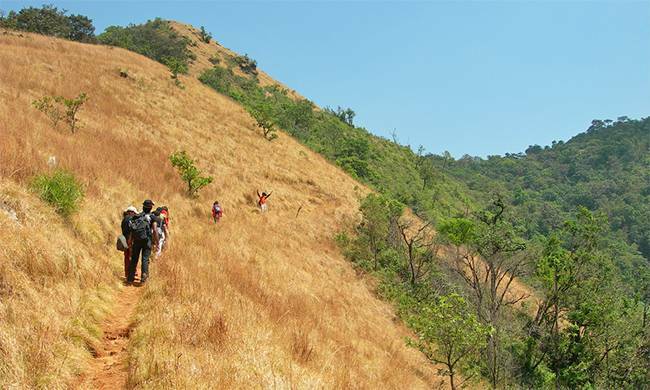 Situated at an elevation of 1343 mts in the Western Ghats, Kodachadri is one of the best known trekking destinations in South India. The view of sunrise and sunset from the peak is breathtaking. 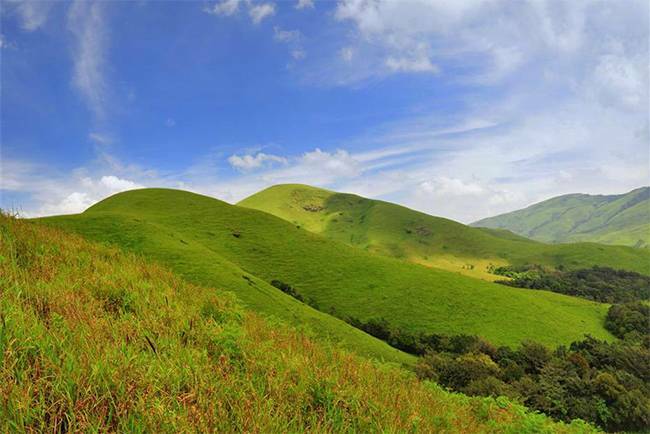 Ideal Time: Oct to Feb.
Kudremukh, meaning horse-face, is a 6 km uphill trek in Chikmangalur district of Karnataka. 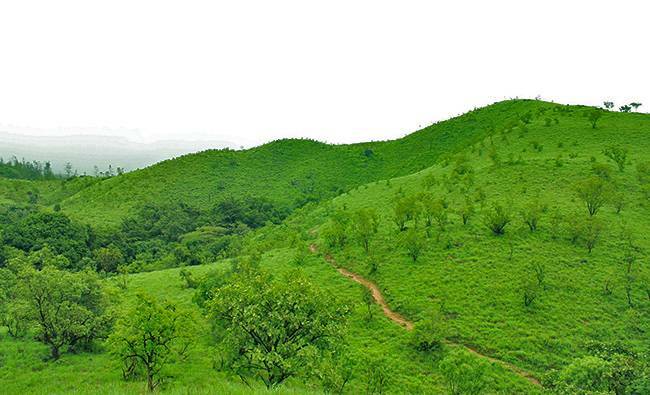 Trekking is permitted in Kudremukh only from 6 am to 5 pm and make sure you have necessary permissions from the forest officials. Kumara Parvatha is the second highest peak in Coorg in Karnataka, Kumara Parvatha trek is considered one of the toughest treks in South India. But the exhilarating view of the forest from the top makes this trek worth it.